The Sierra Club has released their annual report ranking the best and worst transportation projects in the country. Smart Choices, Less Traffic: 50 Best and Worst Transportation Project in the United States provides a brief summary of each project included in their list, and a description as to why the project received its ranking. The State of Ohio had only two projects that made it into the Sierra Club’s 2012 report, and both were from the Cincinnati region. The Eastern Corridor Highway in Cincinnati, Ohio was first proposed in 1999 when the price of gas was $1.14. The project is currently under study, with plans to convert a road into a 10-mile, four- to six-lane expressway. The Highway poses a significant threat to the scenic Little Miami River. The route parallels the river and plans to cross it in an ecologically threatened area, where numerous rare, threatened and endangered species live. Furthermore, the highway will slice the historic village of Newton in half, which would disrupt the community and its tax base, adding traffic and pollution. The village’s mayor has been an outspoken critic of the project. The highway project is expected to cost upwards of a billion dollars. The second area project that made it onto the environmental organization’s list is the Cincinnati Streetcar, which they called one of America’s best transportation projects. The Cincinnati Streetcar is a new electric streetcar project that will connect key communities in the city’s urban core while improving neighborhood accessibility, stimulating development, and creating jobs. 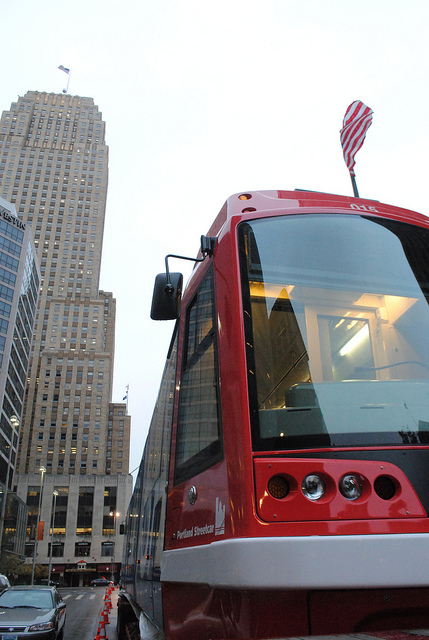 The streetcar system will go from the River to the Zoo, University, and hospital area. There are currently more than 500 vacant buildings along the streetcar’s 4-mile route. The streetcar will help attract residents and businesses to these rehabbed buildings, putting people to work and boosting the city’s tax revenue. Streetcars will increase accessibility and active transportation in the region by creating denser, more walkable, mixed use development. The streetcars are designed to accommodate both wheelchairs and bicycles and will serve as a complement to the city’s existing bus transit. Construction began in February 2012 and the streetcar is expected to open in 2014. The full report identifies a wide range of projects including highways, bridges, mass transit, active transportation, aviation, aquatic, and multi-modal investments. Projects of all varieties made it onto both the good and bad lists, but the Sierra Club largely favored transit and active transportation projects over highways and bridges.